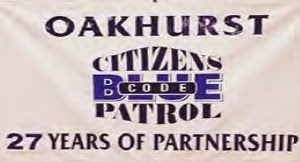 Oakhurst Neighborhood Association, Fort Worth, Texas: Police and Firefighter's Dinner Best Ever! By Phyllis Anglin; originally published in the November 2014 edition of the Oak Leaflet. We have wiped down the tablecloths and laundered all the aprons and put everything away for another year. But this one will be hard to beat! Because of a planned trip, I wasn’t able to help with calling our neighbors to remind them about the Dinner. But Yve Martin and Lynn Sonsel (who made a new list on Excel) and Deb Brown (who called the new neighbors) stepped up and took on the monumental calling job. The EMTs were knocking down our door before 10am on the 16th of October at Springdale Baptist gym. This year, we decided to stay all day and not shut down between shifts. It was a good thing that we were here because there were times that we thought we would run out of food! But thanks to you, generous Oakhurst neighbors, we had just enough. Sometimes the parking lot was FULL of police cars, motorcycles and EMT vehicles. It all started eight o’clock the night before, Beverly and Dwight Mason, Yve Martin, Randy Linville and Lynn Sonsel, with the help of the staff and congregation (including Pastor Jerry Campbell and Laura Coskrey) of Springdale Baptist, helped us get set up and decorate for the Dinner. Bright and early, at about 8:30am, all the Oakhurst folks and many more, were busy taking in food, and setting out platters for the hungry masses. Sally Littlepage came after Meals on Wheels; Linda Plemons worked most all day, even though she had a broken wing! Randy not only loaned us all his chafing dishes but helped Fred all day long. At about 2:30am the following morning, after he, Amanda, Doyle Willis, Sandra Whittenburg, Stacey Wright, Peggy Martindale and Ann Kollmorgen had helped us get everything torn down, Randy showed up at our house to help us carry everything inside! 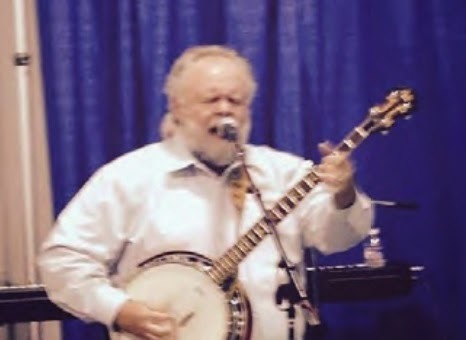 From six o’clock until ten o’clock, we had wonderful music, thanks to Judge Brent Carr and his band Cowtown Music Club. It was well worth the whining and cajoling that I had to do just to see Beverly Mason bust a move to “Wooly Bully”. The band played almost non-stop for four hours! I just can’t thank them enough. It’s hard to single out just one person, because there were so many who cooked, worked the Dinner, went to get food and came backed and worked some more. Sandra Whittenburg made tons of food, including her killer pork and her version of Duffy’s buttermilk pie, then went out and got more food. Peggy and Ann always show up at the last shift with lasagna and bread. One officer in particular asked, “Is the lasagna here?” Rita Wilson stayed for many hours with Dwight Mason getting the Officers to sign in. Rita then got on her phone (when we were running out of food) and ONA sent out an e-mail message and messaged everyone ...and food showed up! Deborah Warr came in and went to work! She had never volunteered for this event before, but she can come again any time! Between Deborah and Amanda, we were in stiches toward the end. Beverly and Dwight Mason are shining examples to us all. They have no equal for their dedication and support. We are so fortunate to have them in the neighborhood and in the Citizens on Patrol group. It’s hard to put into words how much Fred and I appreciate the dedication of these people and many, many more. Thanks to Mr. and Mrs. Leasley for picking up our Barbecue from Riscky’s. We also appreciate Riscky’s for selling us the barbecue at a discount. Thanks also to Mayor Betsy for faithfully showing up every year (and for the little gift this year – what a nice surprise!) and Chief Jeffrey Halstead, who genuinely seems to like to come. Chief Halstead sits at a table with a bunch of his men and they all really enjoy the meal and the camaraderie. And, thank you Councilwoman Ann Zadeh. You were there to shake hands and to help serve too! If I have forgotten anyone, it’s not intentional (it’s just old age). Oakhurst people are the BEST. Thank you all for your donations of food and money...but especially, thank you Fort Worth Police, Firefighters and EMT’s for giving us the chance to serve you. It’s a privilege.